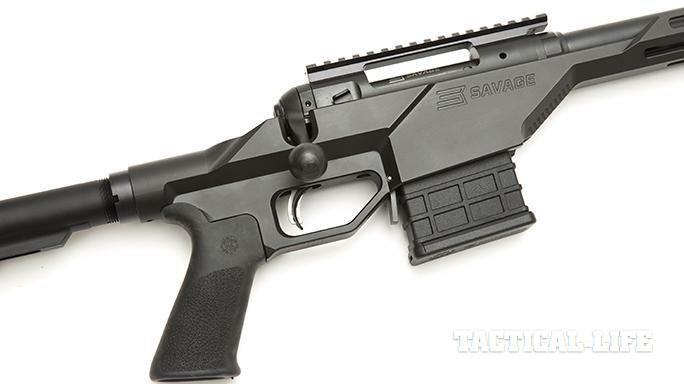 Savage Arms' sleek new 10 BA Stealth redefines affordable precision. 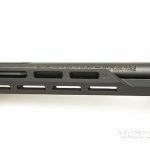 Made by Drake Associates, the lightweight aluminum chassis on the Stealth rifle features M-LOK accessory-mounting slots along the forend as well as a one-piece EGW scope rail. 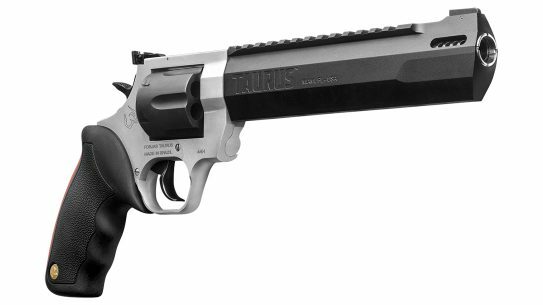 The easy-to-reach tang-mounted safety offers three positions so you can lock the bolt, move the bolt while blocking the trigger or fire. 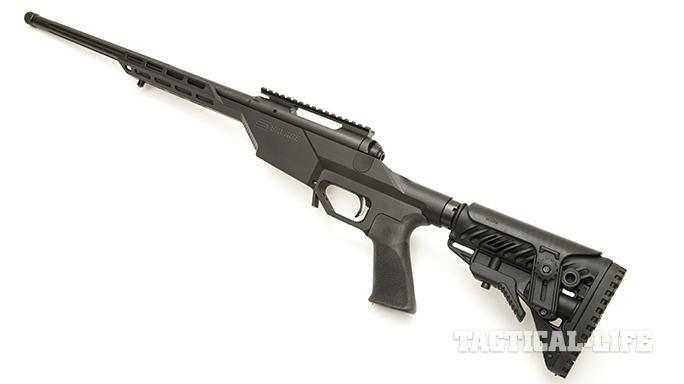 The 10 BA Stealth comes with Savage Arms’ adjustable AccuTrigger, and the test rifle’s trigger broke cleanly at 2.75 pounds on average. Also note the paddle-style magazine release, which is just in front of the angular triggerguard. 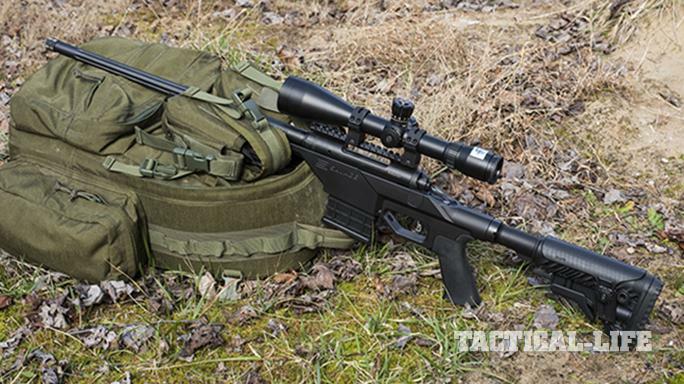 The author’s test rifle came equipped with a six-position FAB Defense GLR-16 stock with an adjustable cheek riser, allowing him to customize his fit behind the rifle. The 10 BA Stealth has clean lines, and the large triggerguard offers plenty of room for glove use. 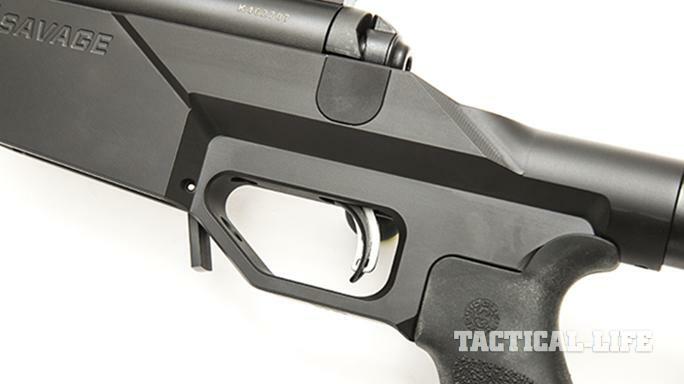 The chassis also accepts readily available AICS magazines. 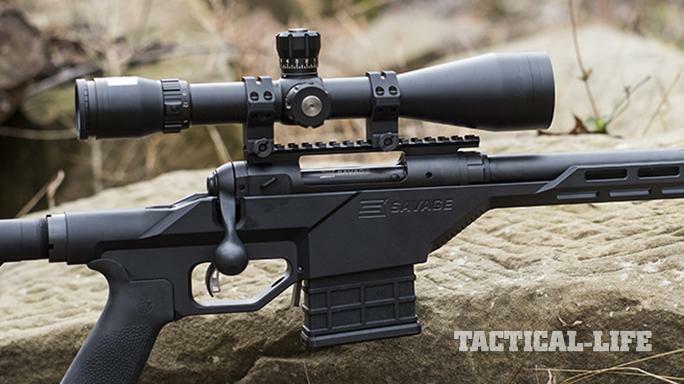 At the range, the Savage 10 BA Stealth performed well with several popular types of ammunition, bringing in sub-MOA groups from different brands. As with anything else, the shooting industry goes through different phases with regard to the popularity of certain types of products. 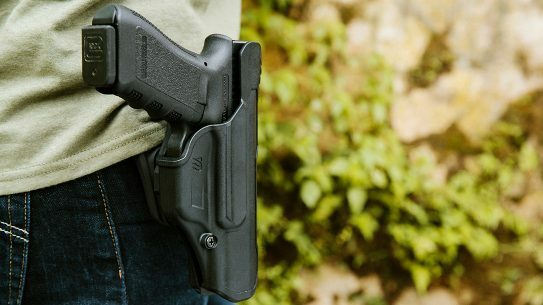 Whether it’s 1911s, ARs or striker-fired pistols, once something has taken hold in the shooting community, the firearms industry is always ready to accommodate people’s tastes. 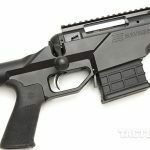 One of the most popular types of firearms today is the precision rifle in its various forms, calibers and price tags. 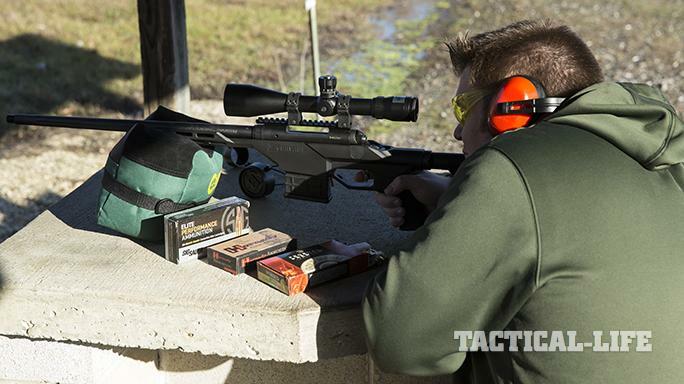 Precision rifle-shooting competitions have become incredibly popular among the masses. 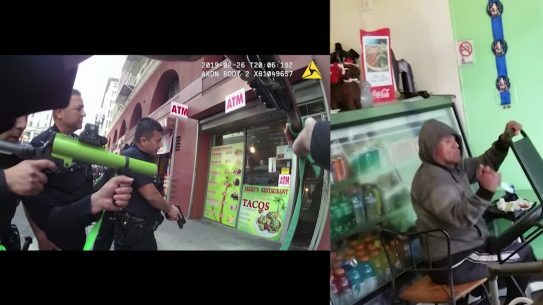 Some rigs can require the shooter to take out a second mortgage to get the very best, but for many, that’s really not an option. 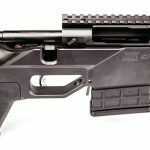 Thankfully, there are several manufacturers that have started producing precision rifles that are relatively more affordable and, thus, more accessible to a wider range of shooters. 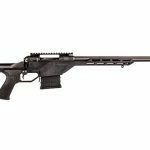 Savage Arms is such a company, and its new 10/110 BA Stealth series rifles are a great jumping off point for those who want to dip their toes in the waters of precision shooting. 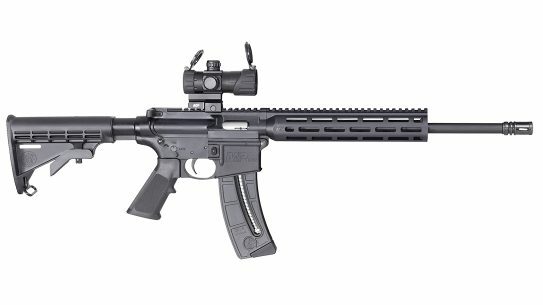 Marketed under the company’s Law Enforcement Series, the 10/110 BA Stealth rifles are actually lighter and more compact versions of the earlier 10/110 BA rifles. 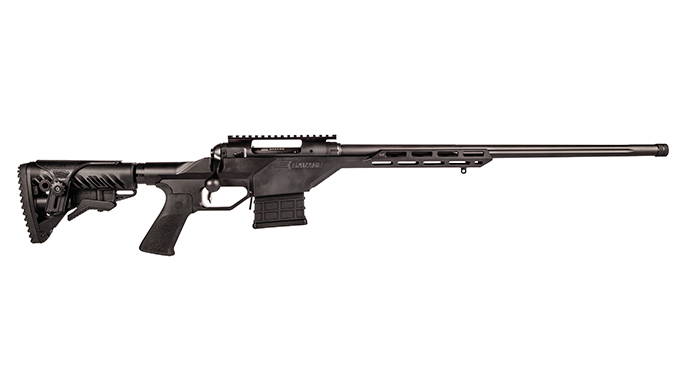 The short-action 10 BA Stealth rifles are currently available in .308 Winchester and 6.5 Creedmoor. 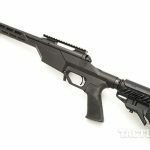 When you really want to go deep, the long- action 110 BA Stealth models come chambered in .300 Winchester Magnum and .338 Lapua. 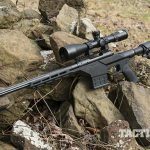 I tested a 10 BA Stealth in .308 Winchester. 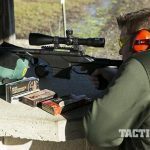 Despite the growing popularity of the 6.5 Creedmoor round, I wanted to test the .308 for the simple reason that I already have several .308 rifles and a good supply of this ammunition on hand. 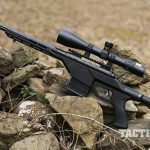 The platform of the rifle is a monolithic aluminum chassis from Drake Associates. 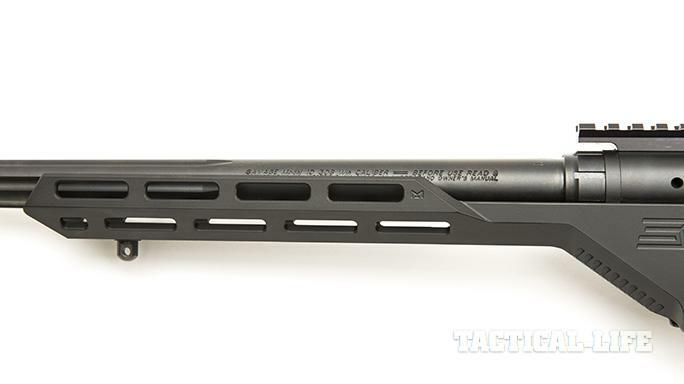 This chassis is a very sleek design that minimizes the overall weight of the rifle. 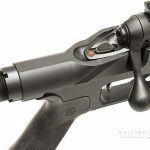 It offers multiple M-LOK slots along the forend for attaching any accessories the operator chooses along with a single swivel stud for mounting certain styles of bipods. 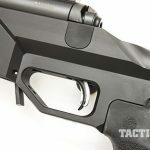 The chassis accepts AICS magazines for the sake of simplicity and availability, and the supplied 10-round magazine locked positively and fed rounds flawlessly during the evaluation. The chassis is also available for left-hand bolts. The 10 BA Stealth comes with a blued, 20-inch barrel that is fluted to provide more surface area for quicker cooling. The barrel also sports 5/8×25-tpi threading so users can attach a suppressor, but I wasn’t able to test the rifle with a suppressor, so the included thread protector stayed in place. 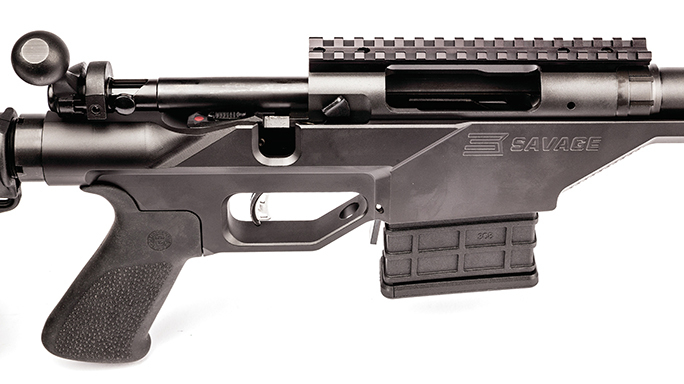 The rear of the 10 BA Stealth resembles an AR rather than a standard bolt-action rifle. 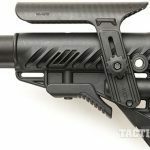 The factory-supplied grip is an AR-style unit, and the user can change it out if they like with any other standard AR grip on the market, though I found the supplied grip to be quite comfortable. 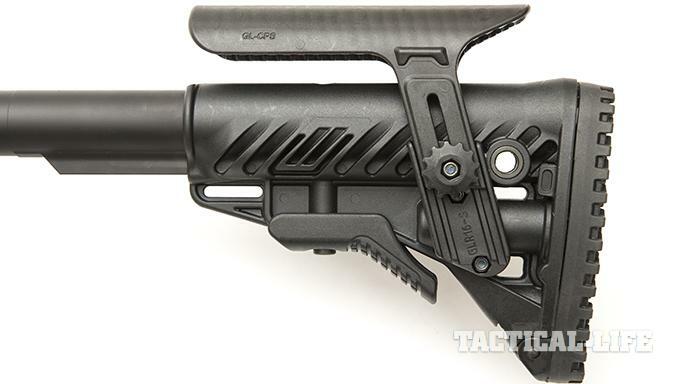 The test rifle also came with a six-position FAB Defense GLR-16 buttstock with an adjustable cheek riser. 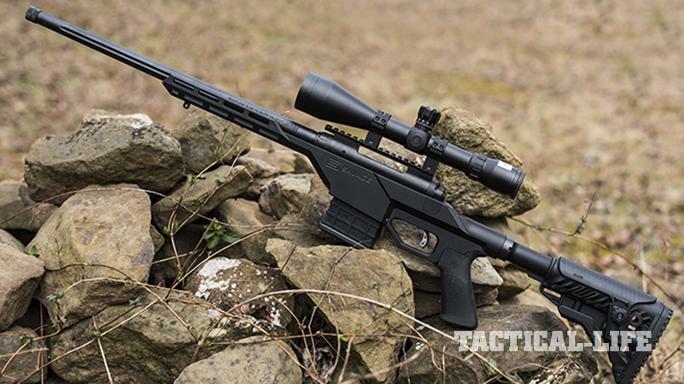 This stock was highly configurable and mated well with the overall design aesthetic of the 10 BA Stealth. 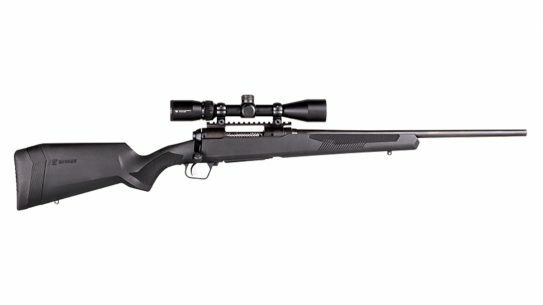 The finishing touches on the rifle include a one-piece EGW scope rail and Savage’s adjustable AccuTrigger. After trying the trigger, no adjustments were necessary, as the trigger broke at a very crisp and clean 2.75 pounds—more than light enough for my needs. 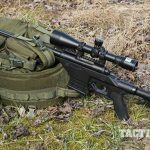 For the review, the rifle was also supplied with a set of Weaver four-hole rings and Bushnell’s 4.5-30x50mm Elite Tactical LRS scope. 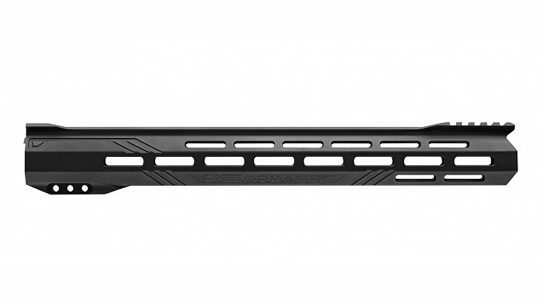 Tipping the scales at 24.1 ounces, the Elite Tactical LRS is 13.1 inches long with 4 inches of eye relief. The fully multi-coated lenses help relieve eye stress in high-contrast situations where reflectivity can become an issue. 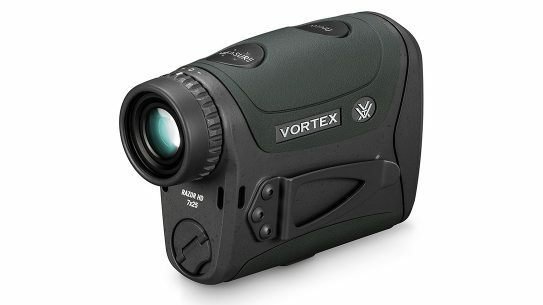 Also, each individual lens in the group is treated with Bushnell’s Ultra-Wide band coating to optimize light transmission from the front to the rear of the scope. The LRS’ second-focal-plane reticle allowed for very precise aiming when testing the rifle’s accuracy, and the image clarity was extremely good. All of the range sessions were conducted on very overcast and gloomy days with temperatures in the 30s, and one session was conducted during steady snowfall. Even in those conditions, the image was clear and bright, and no issues interfered with the precision shooting. 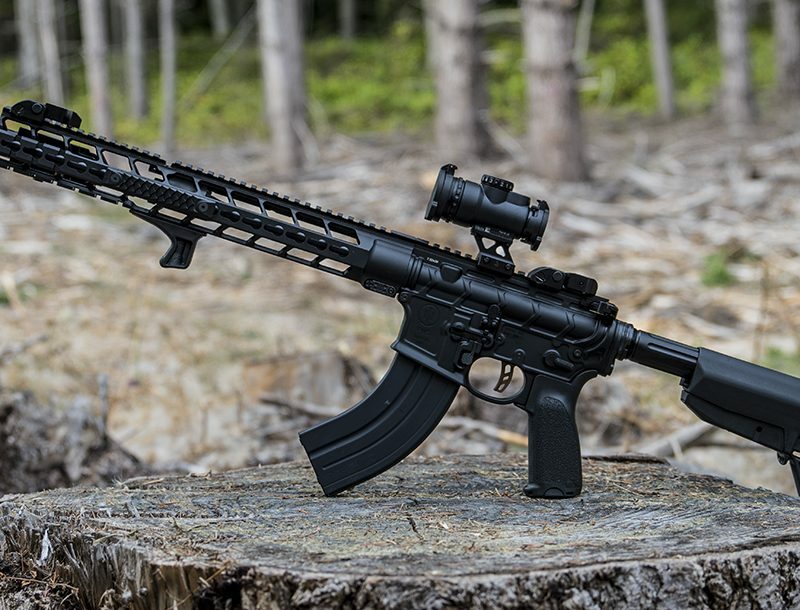 After several extended sessions where I fired lots of match ammunition through the 10 BA Stealth, my impressions of the rifle were very good overall—though it took some doing to sort out the results. 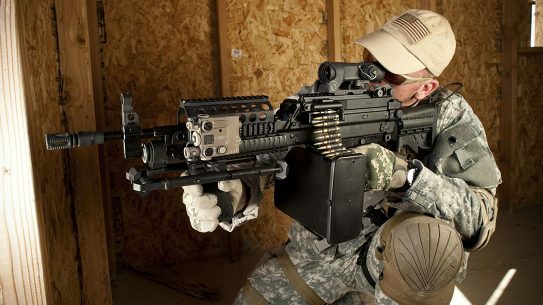 This was, in large part, due to the factory-supplied scope rail. After firing about 40 various rounds during the first session, I realized that the results I was seeing on paper didn’t seem quite right. 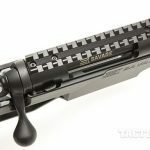 Savage Arms’ rifles are known for their accuracy, and the groups I was getting at 100 yards weren’t exactly stellar and seemed to be worsening by the minute. After a little checking, I noticed that the aluminum scope rail was wobbling just a bit. I chalked that up to my oversight in not checking everything before I left the house and decided to cut the session short. I was already freezing that day and figured I’d check everything out and get it squared away when I got back home. During the second session, the rifle was printing much better and I was getting tighter sub-MOA groups. 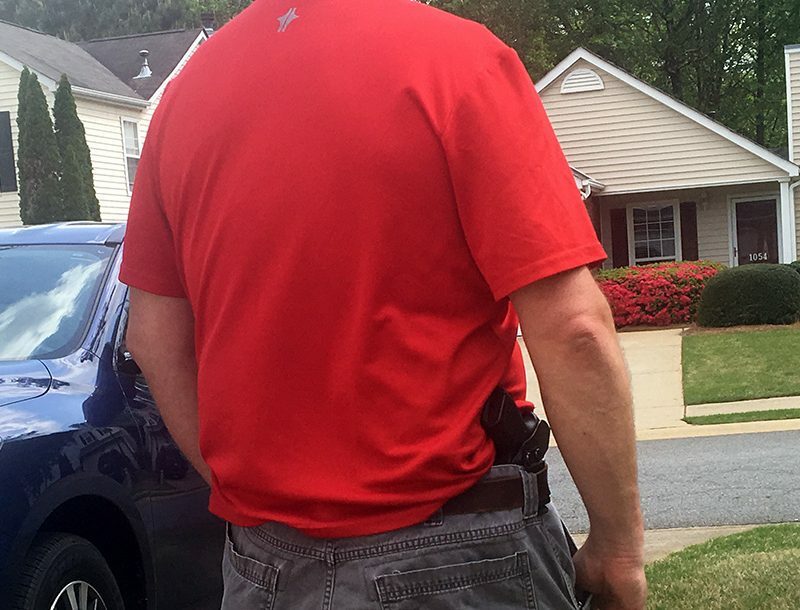 I was shooting Federal’s 168- and 175-grain Gold Medal Match rounds along with Sig Sauer’s 168-grain Match Grade OTM rounds and Hornady’s 168-grain A-MAX rounds. Things were looking good for a while, but then things started loosening up again. 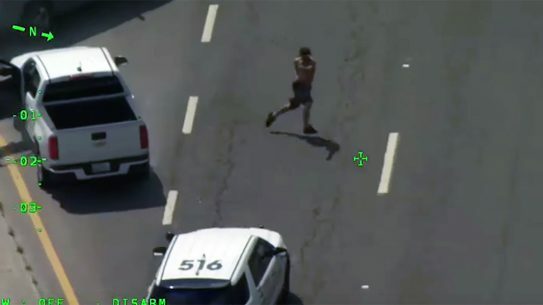 Newman! After pulling the rings a second time, I noticed that the front screw on the rail had almost completely worked itself loose again, and another screw was coming undone as well. This time I went all out and put blue Loctite on most everything and cranked it all down again and let it cure for a couple of days before the next try. While this isn’t a typical practice, I was limited to what I had on hand to use and I had to make it work. Also, it was a true test of the rifle as it comes from the box before the user decides to mount their own choice of rail and rings. 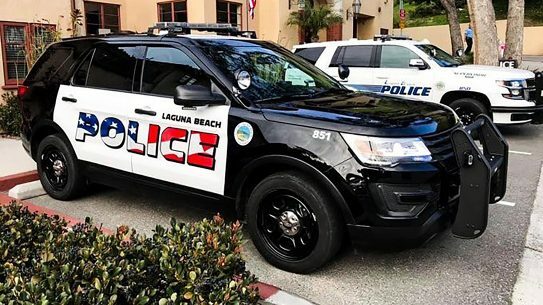 When everything was dialed in and locked down, the 10 BA Stealth delivered excellent results in terms of accuracy. These were the type of results that are usually associated with Savage rifles, and it was well worth the effort to see the groups printed on paper. I got sub-MOA groups from each of the loads I tried. The best five-shot group—measuring just 0.44 inches—was achieved with Federal’s 175-grain Gold Medal Match rounds. That low number helped bring down the average group size and resulted in the same load having the best average group size as well. 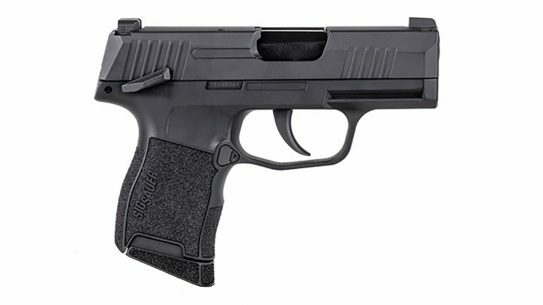 The action of the 10 BA Stealth was smooth, and every round I shot fed flawlessly. Also, this was my first experience using Savage’s AccuTrigger, and now I see what all the fuss is about. 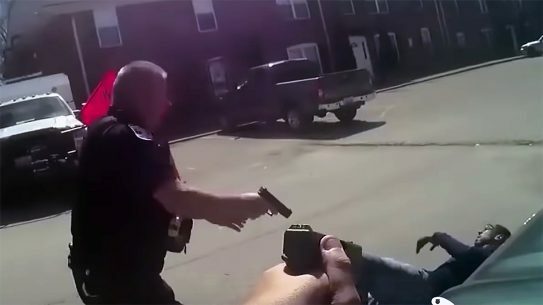 The trigger pull was so light and clean, it seemed a puff of breath would send the bullet on its way. While not a beginning rifle-shooter, I’m not exactly known for my precision shooting, either. 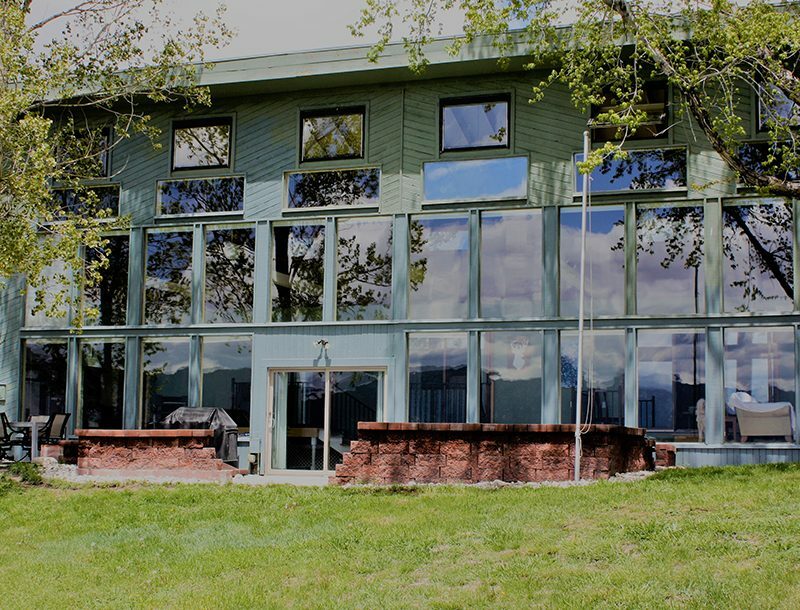 In the context of this segment of the industry, I’m approaching more from an intermediate rifleman’s standpoint, like many who are new and getting acclimated to this particular competitive venture. 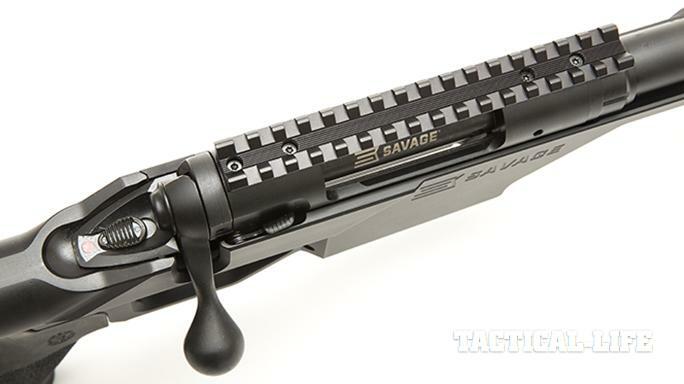 For someone like me, the Savage Arms 10 BA Stealth is an excellent entry-level weapon to this style of shooting. 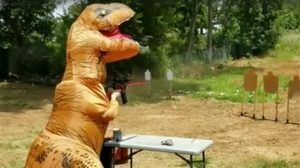 From my perspective, the best group gives me an approximation of how well the rifle shoots, and the average group size tells me how well I’m shooting. 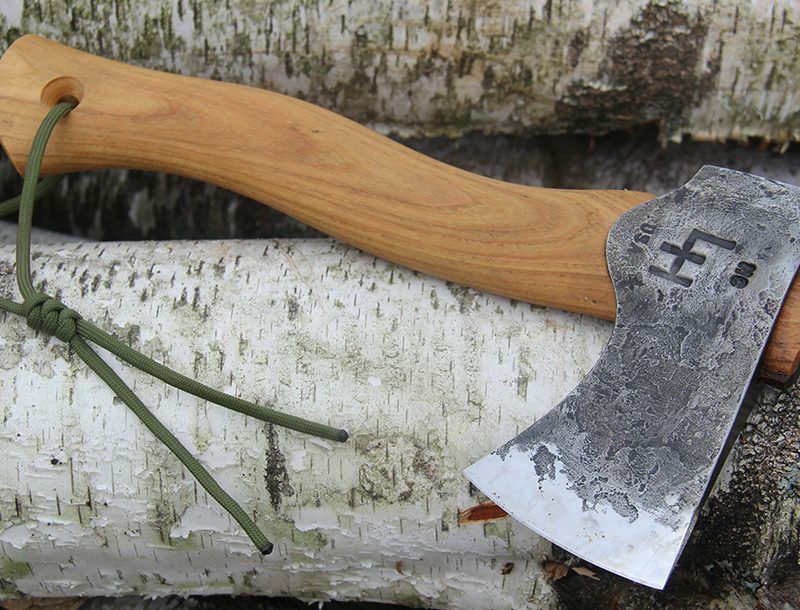 In more seasoned hands, the 10 BA Stealth would be a consistent tack driver. I also believe that a sturdier scope rail would help cut the group sizes down as well, and that would be my first point of focus if I were to make this particular model part of my growing stable of weapons. 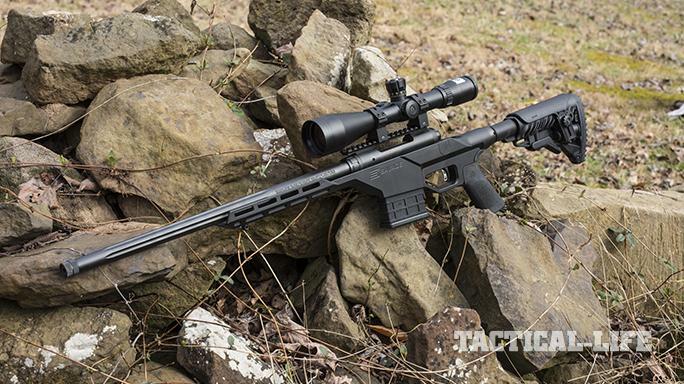 For those who want to get into the sport of precision shooting without breaking the bank, the 10 BA Stealth is an excellent vehicle to get them rolling. 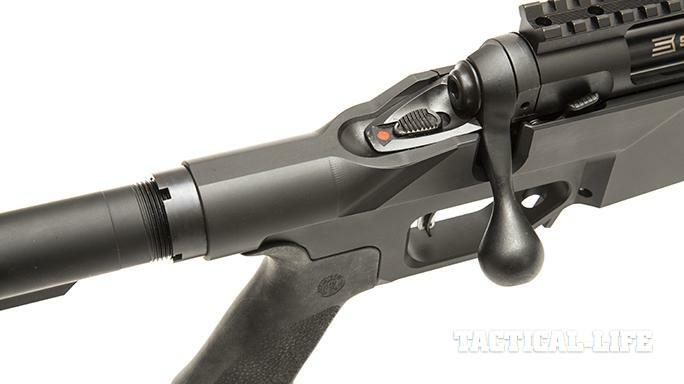 With its streamlined, compact profile, the excellent adjustable AccuTrigger, its inherent accuracy and its high value-to-price ratio, it’s a veritable steal—and it’s a deal you can’t let pass without giving it a try. 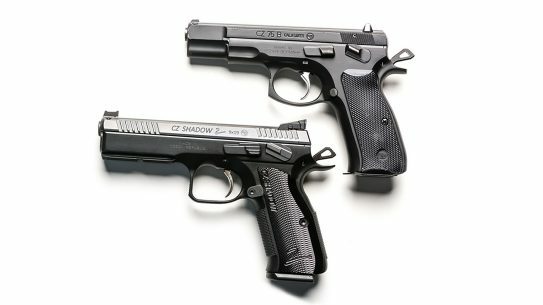 For more information, visit savagearms.com or call 800-370-0708.